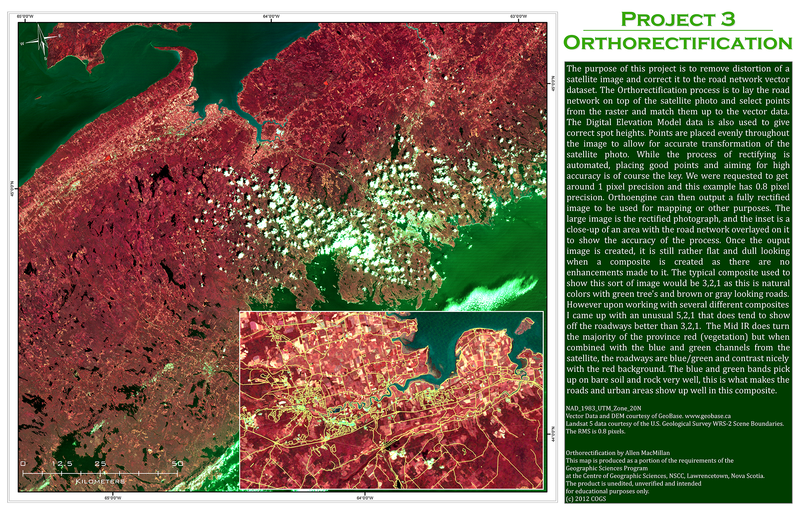 Cartography certainly has me using the most software packages of all my studies. 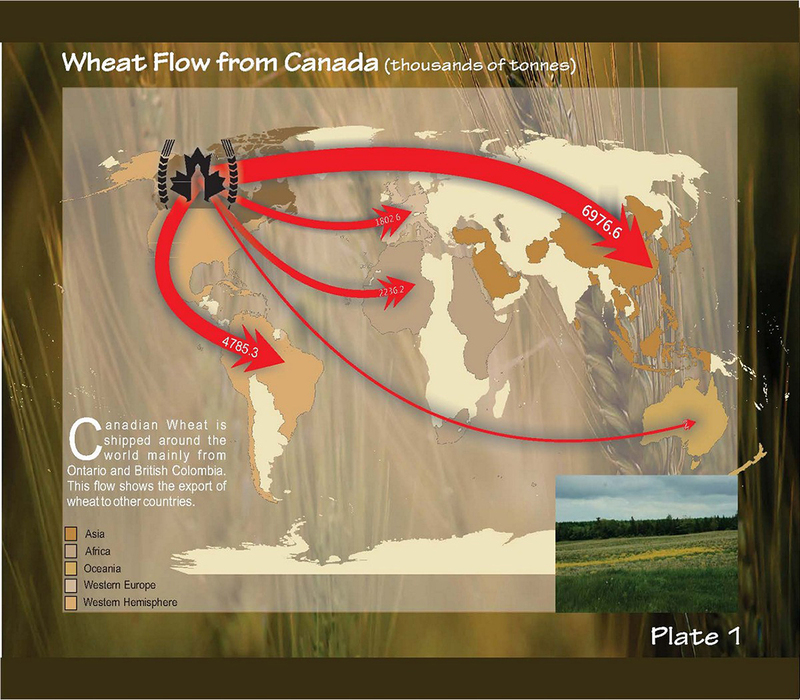 Because cartography focuses on the finishing of the product, the workflow tends to travel from package to package to end up with a final product. 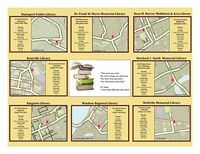 In Cartography, I used ArcGIS, CoreDRAW, CorelPAINT, Adobe Photoshop, Adobe Illustrator, and Excel, just to name a few of the packages. This map is created in ArcGIS and then exported as an EMF to be worked with in CorelDRAW for final layout. 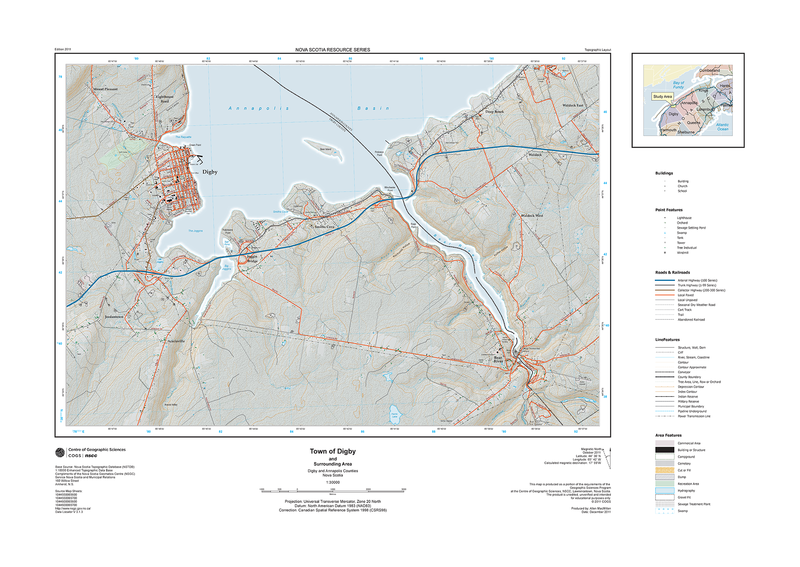 Using ArcGIS the maps are created and symbolized. 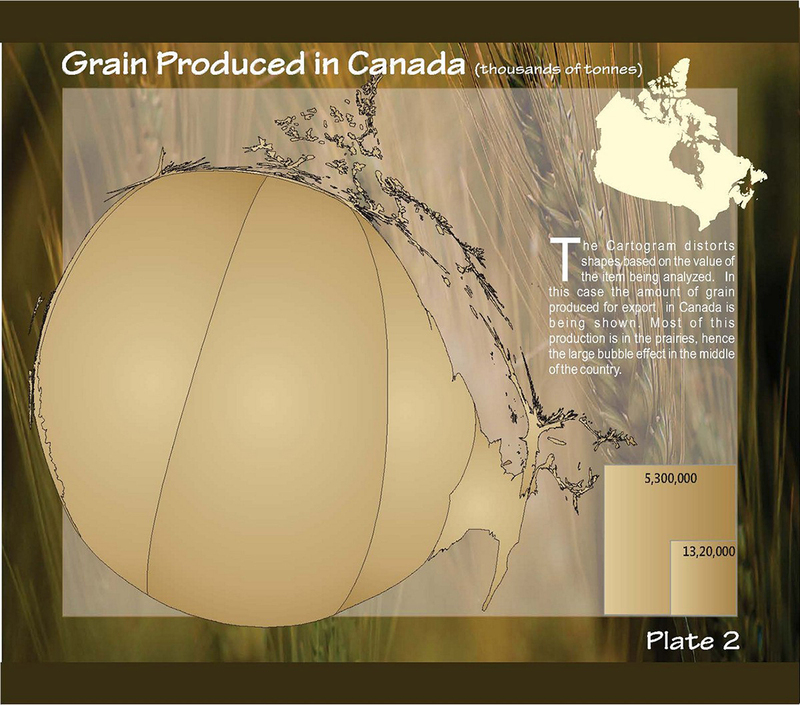 They are then moved to CorelDRAW for the final layout and addition of surround elements. 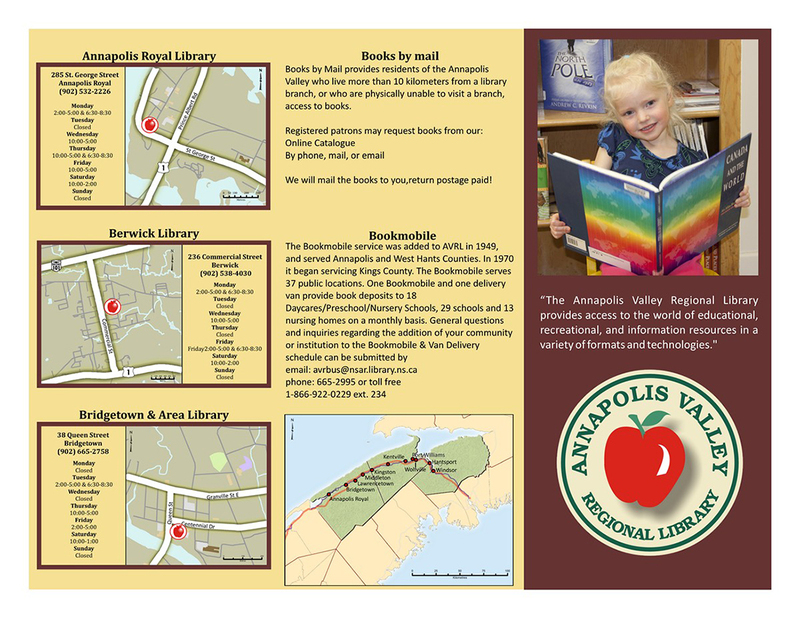 This is the inside of the brochure. Figure ground was the main focus of this exercise. So generalizing the surround and making the roads the fous was key. Calendar Project First year. 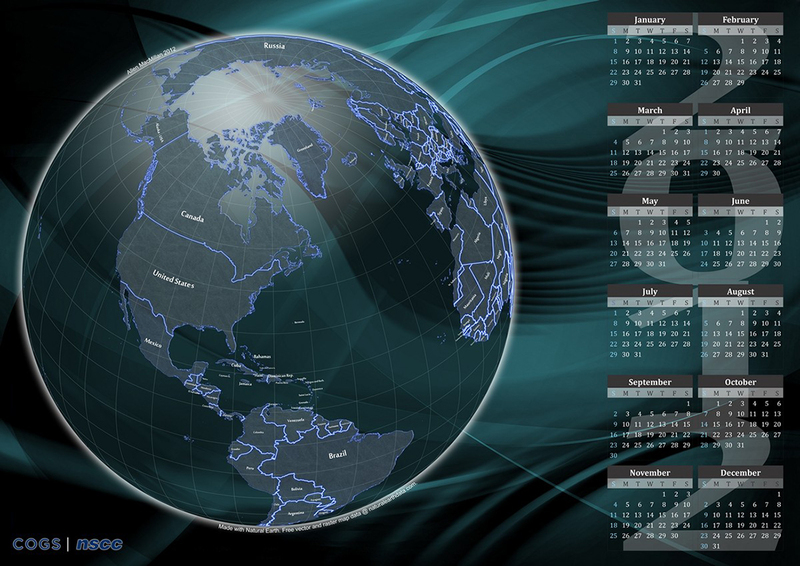 Used ArcMap to create the globe, then imported to CorelDRAW for the calendar. Background was created in Photoshop. Simple color char created in CorelDRAW. 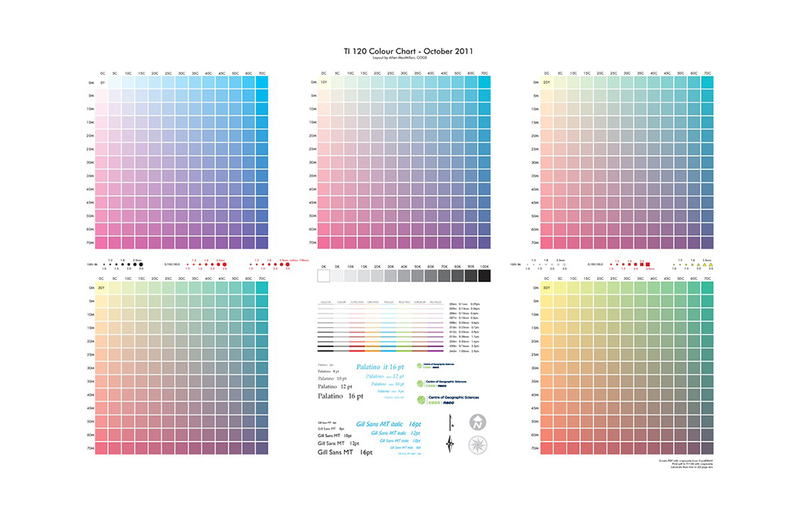 This is a handy item, if testing a new printer to see how colors will be represented on it. Using Trimble Sketch-up this was created after measuring all details of the building. 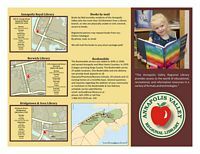 CorelDRAW was used to create the poster. 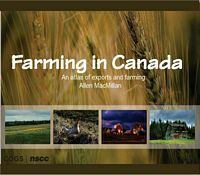 Atlas of Farming in Canada. 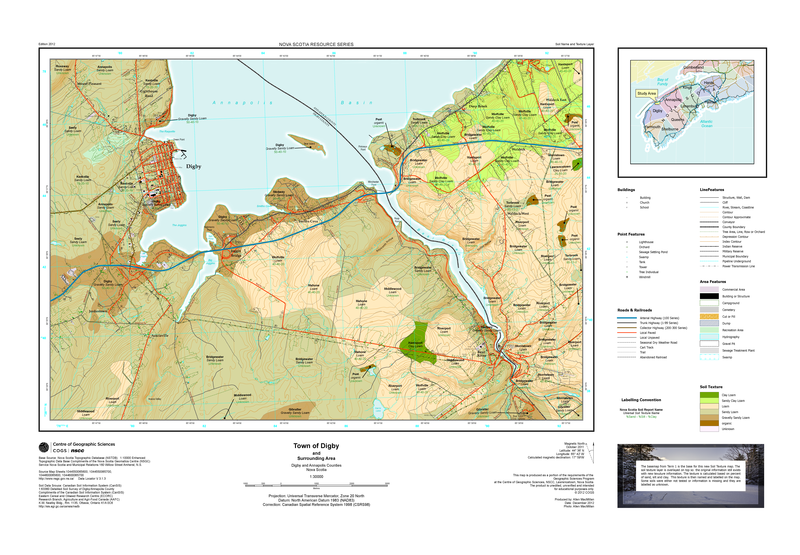 Maps created with ArcMap and compiled in CorelDRAW. 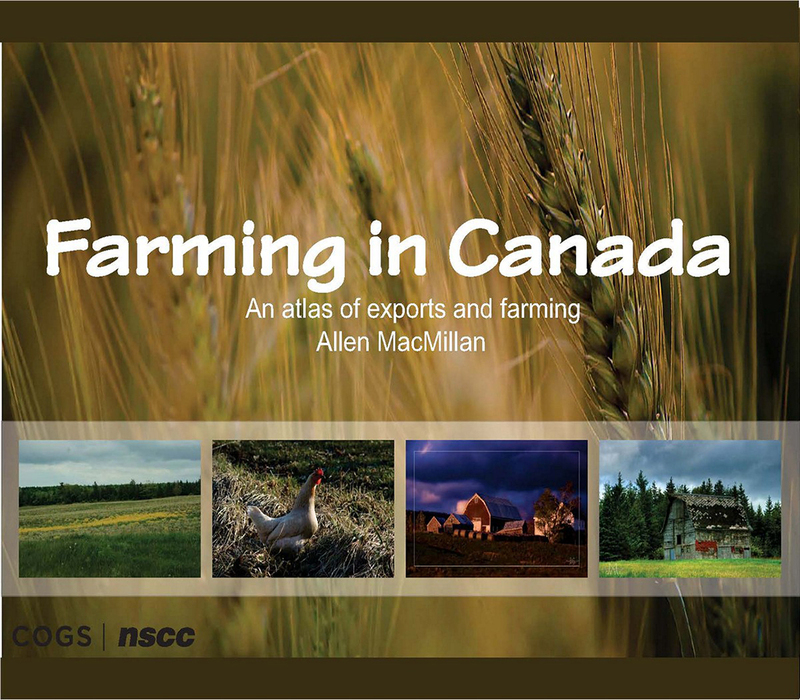 Cover page for farm atlas. Flow map of wheat exported from Canada. 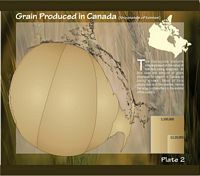 Cartogram of grain produced in Canada. 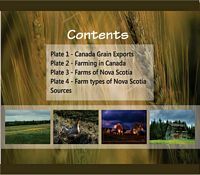 The prairies are greatly exaggerated. 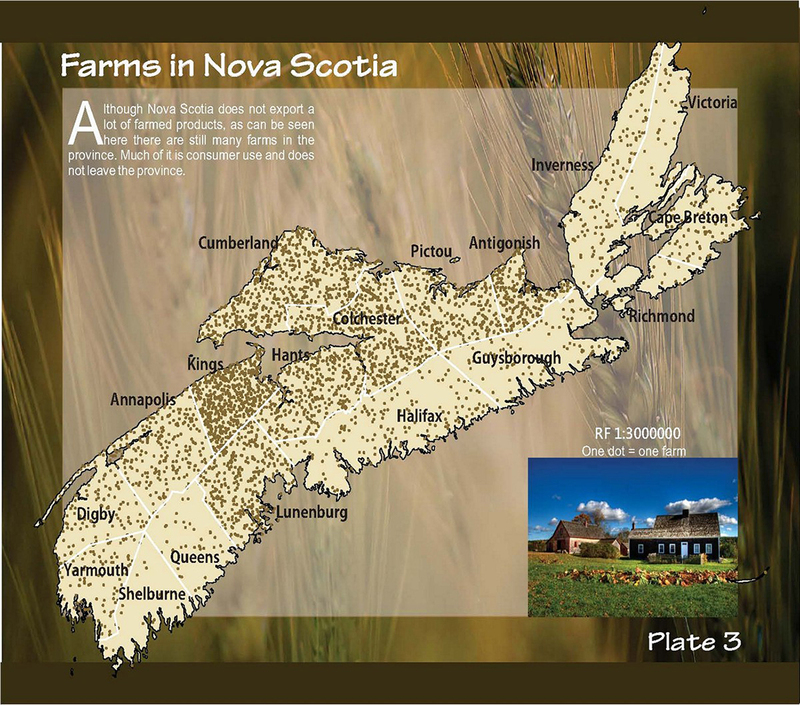 Dot map showing farms in Nova Scotia. 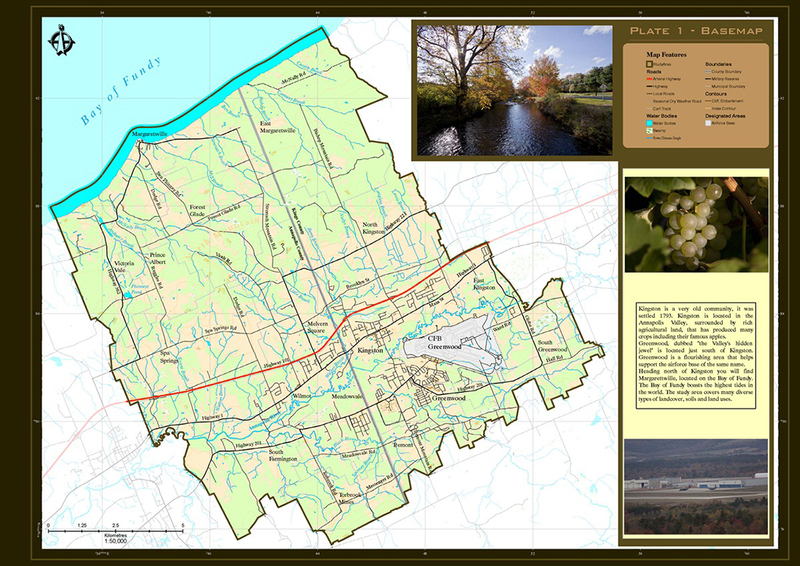 Created in ArcMap. 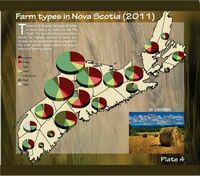 Pie charts showing the tpes of farms in Nova Scotia. 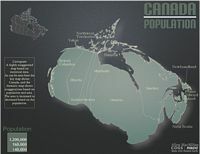 Cartograms represent statistics by exaggerating area based on the statistical value. 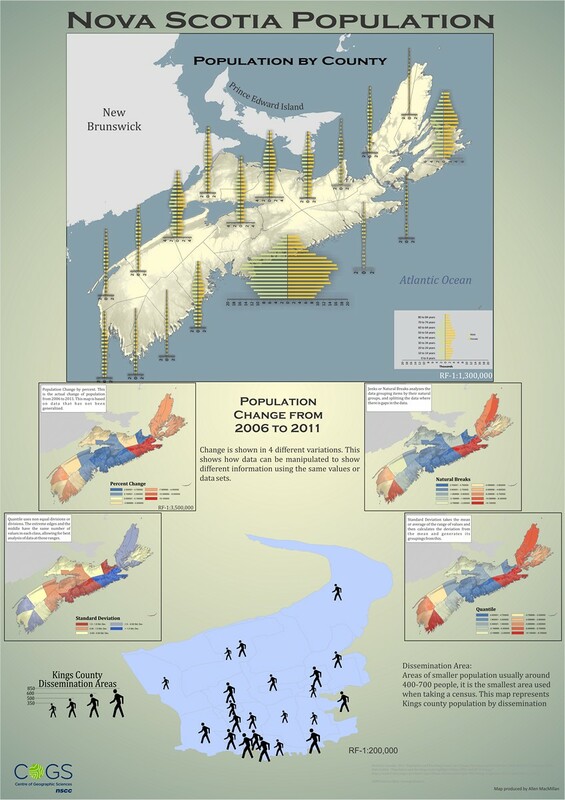 Created in ArcMap using Cartogram Toolbox. 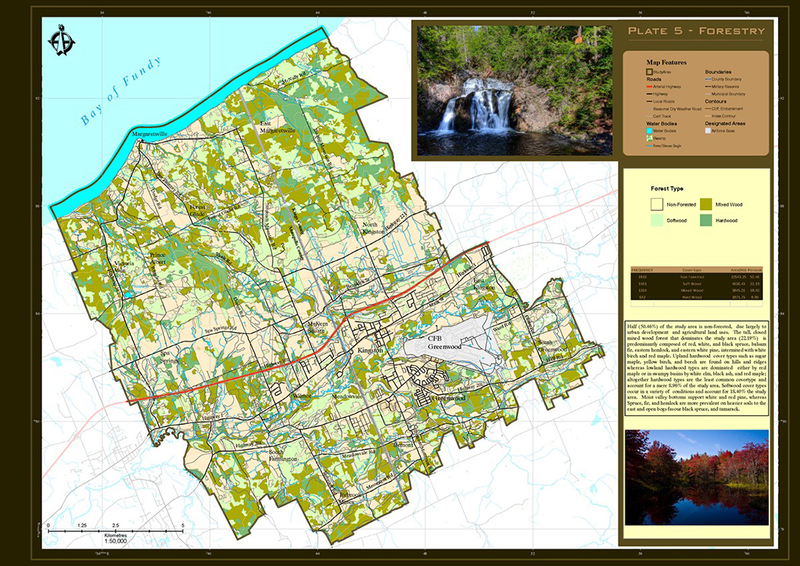 This map is built in ArcMap, using Geodatabase, and representation from an earlier project. 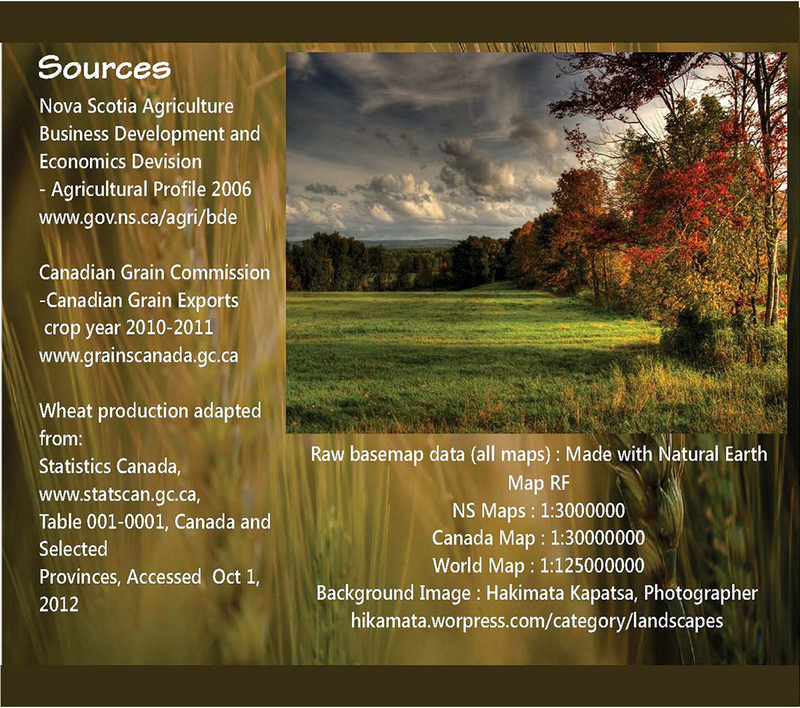 GIS is the heart of what I do. 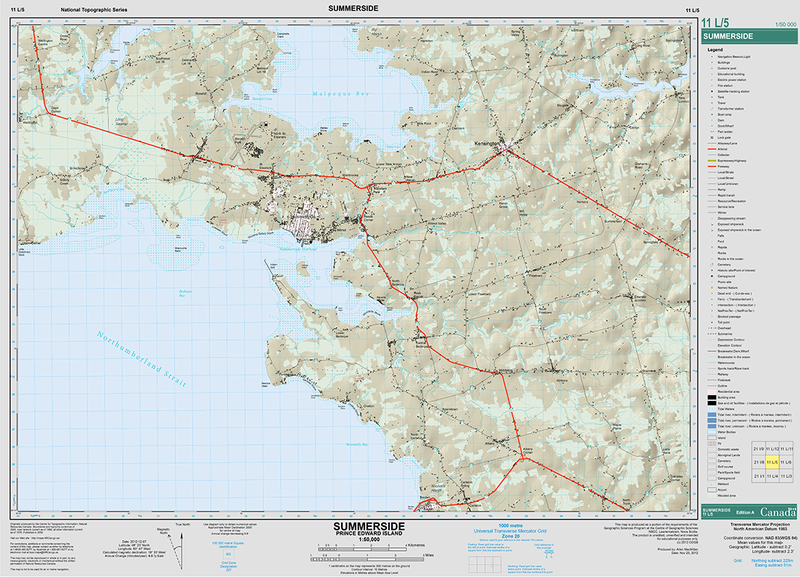 These maps are all created in ArcMap for GIS class. First a base map is created, then the thematic layers are added to the base for each theme required. 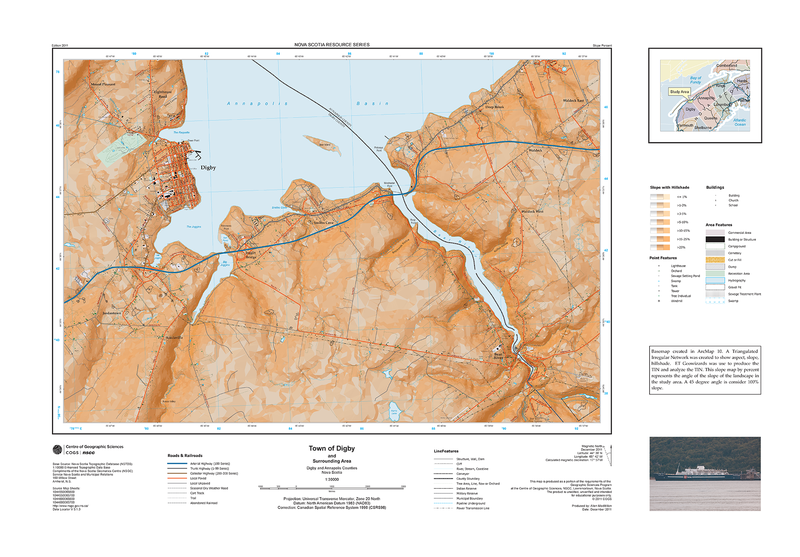 Digby study base map. 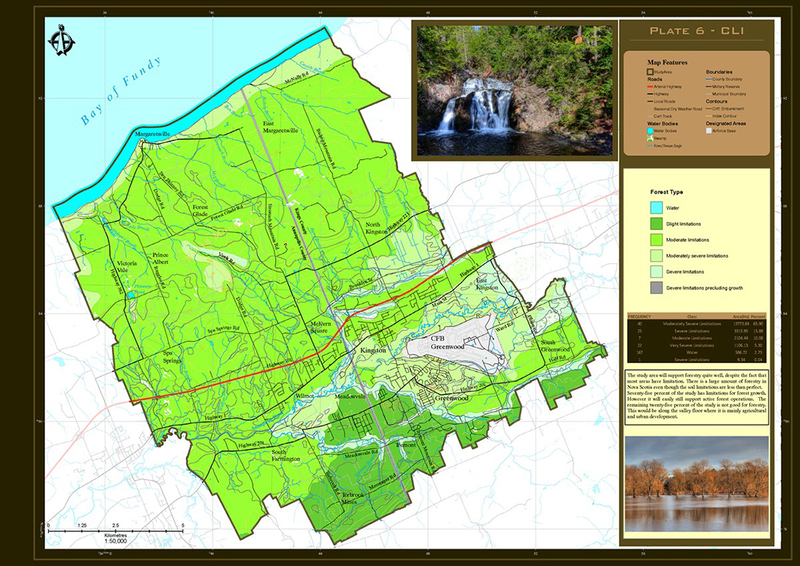 The water and forest polygon's were exported, manipulated in Corel PhotoPaint, and brought back in to add a more interesting look to the map. 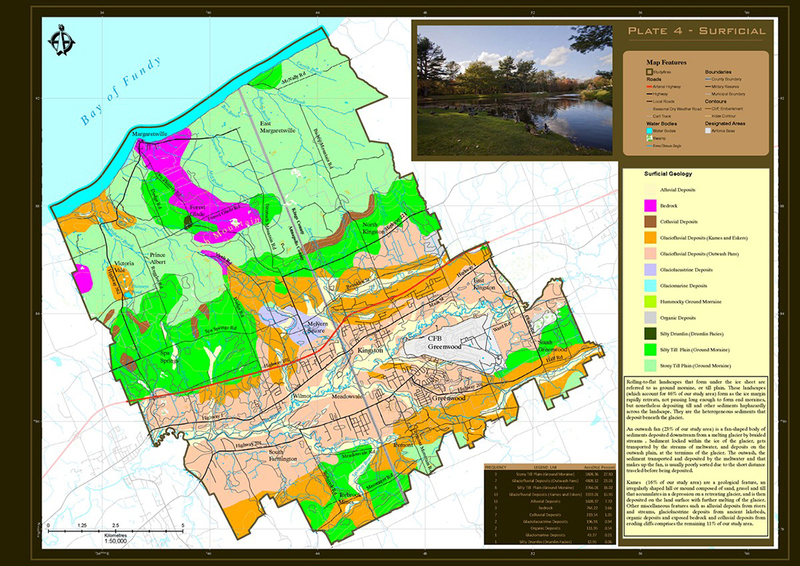 This is the property value map of the study area. The darker the area the more the increase in value over the time given. 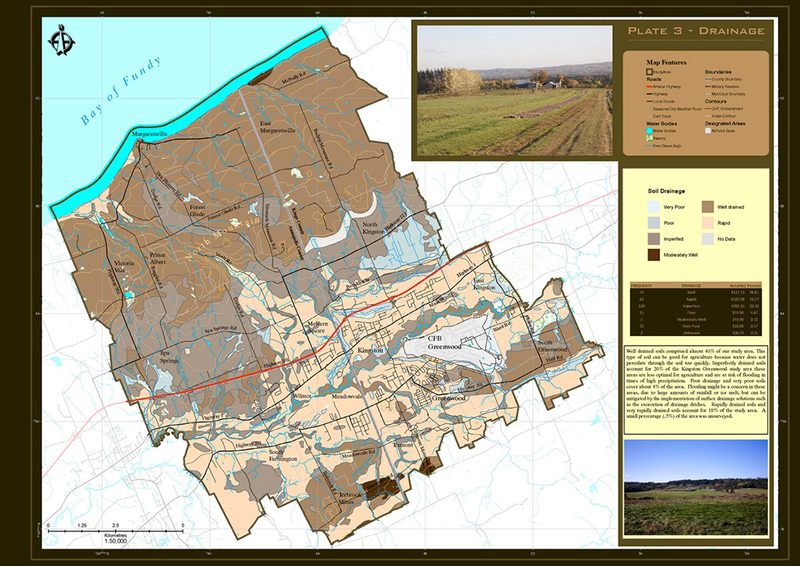 This map shows the erodibility of the soils in the study area. The darker the area the more increase the erodibility index is. Foreign ownership is often an interesting study to see who owns parcels of land. This map shows the foreign ownership of the study area. 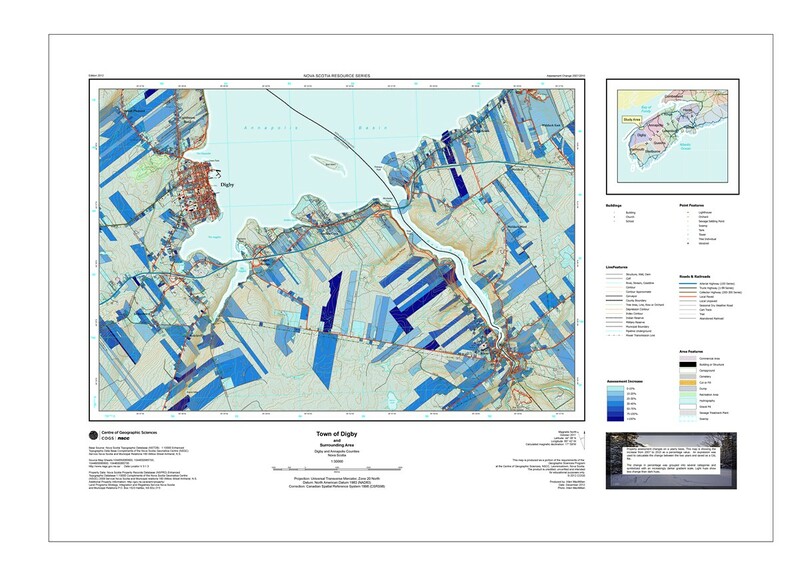 The slope map shows the amount of slope in a given area. Darker regions show increased slope. Soil Texture is an interesting beacuse at a glance you can see the make up of a soil. Useful when doing crop suitability. During the third term of the first year I was given the opportunity to rebuild our first term project for the palanning instructor. 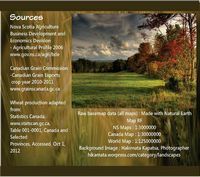 This atlas is a piece I am proud of asit allowed me to put most of the skills I learned in the first year to use. This piece is certainly the nicest looking of my first year projects. All photography is my own as well. Atlas cover. I was looking for something modern but clean looking. This seems to accomplish what I was after. 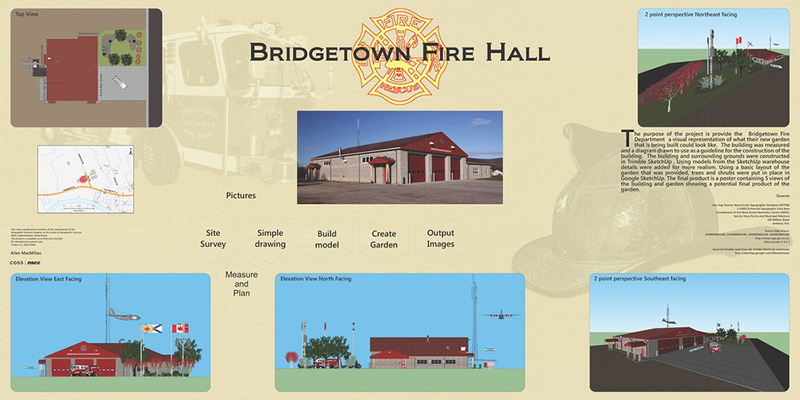 The project was done in ArcMap with all graphics edited or created in Photoshop. 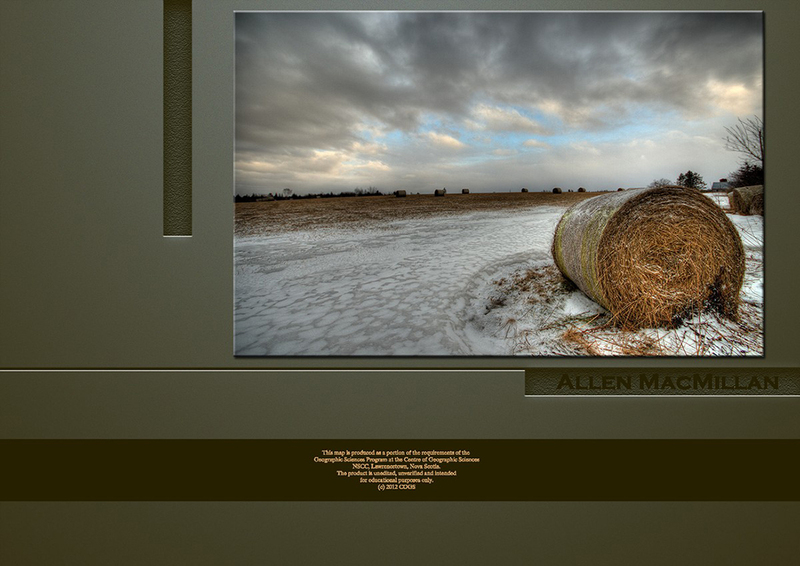 Table of Contents and Keymap for the atlas. Maintaining colors and layout from cover ties this in to the atlas very nicely. Every atlas has to start with a basemap. This is the newly selected study area. 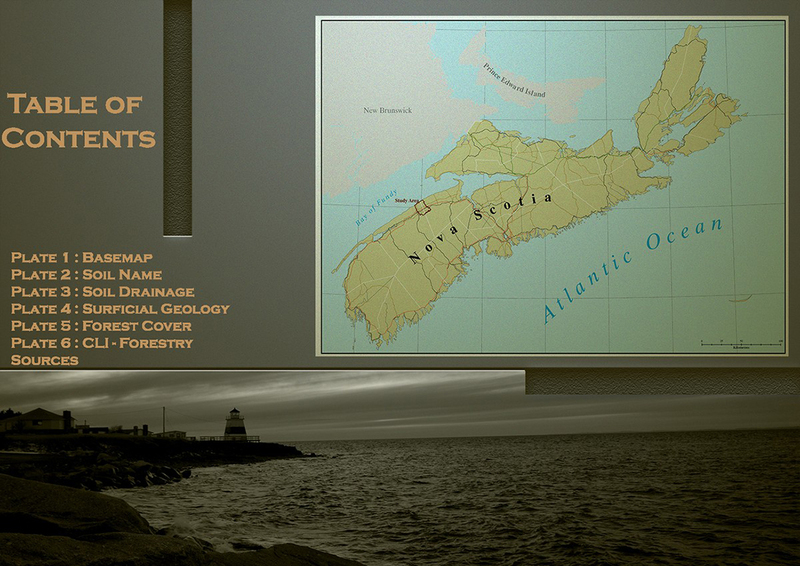 As with any large project there are many sources to this atlas. A dedicated page to list them is a clean way to keep it all organized. 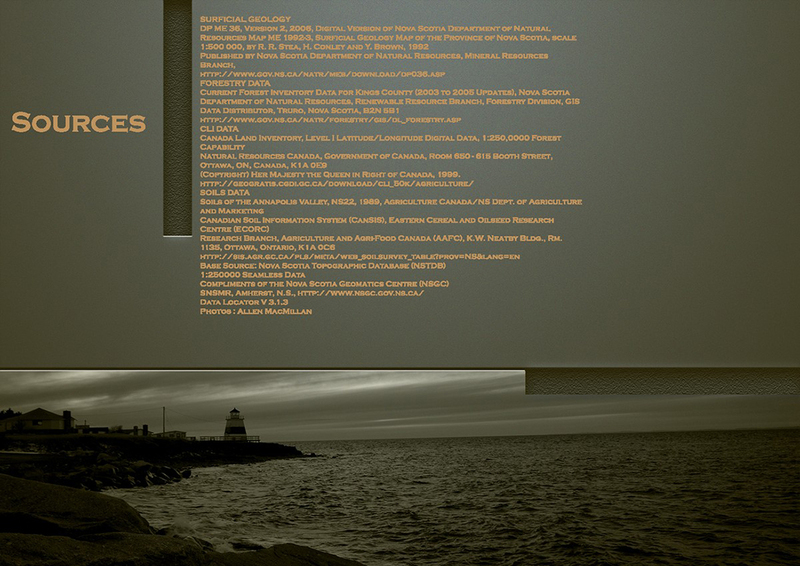 When bound this would be the back cover. Most of the other course had some form of mapping as well, but not a lot of products. 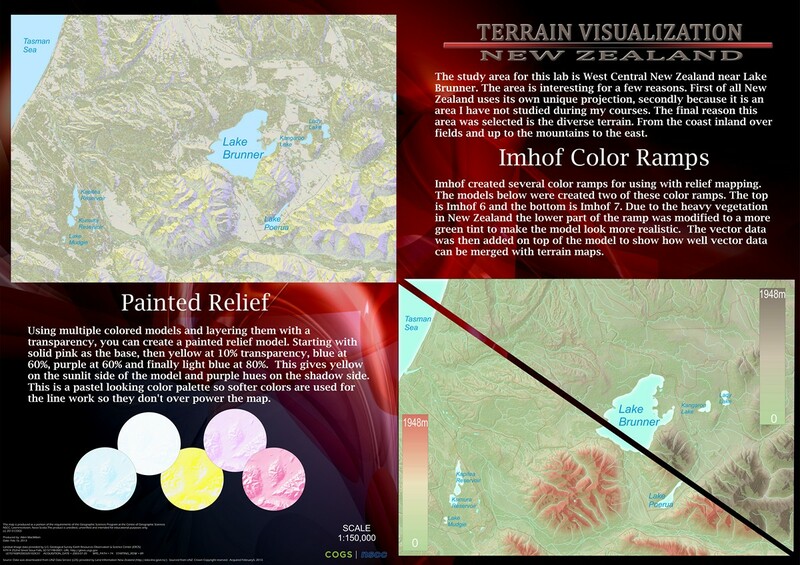 Thiese are some samples of work from Remote Sensing, Terrain Visualization, and Ineractive mapping. Introduction to satellite bands. The project was to select an area of interest and select a band that made for an interesting thematic. 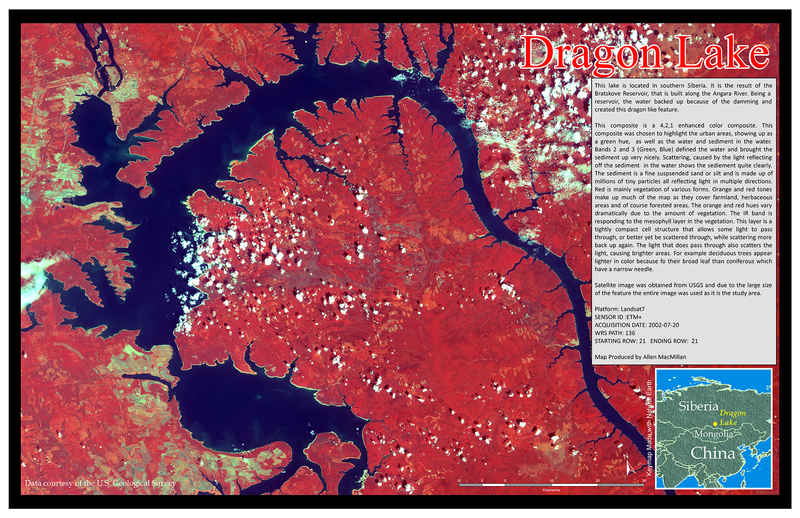 This is Dragon Lake in Siberia. Also created in PCI Geomatica. Poster made in Photoshop. 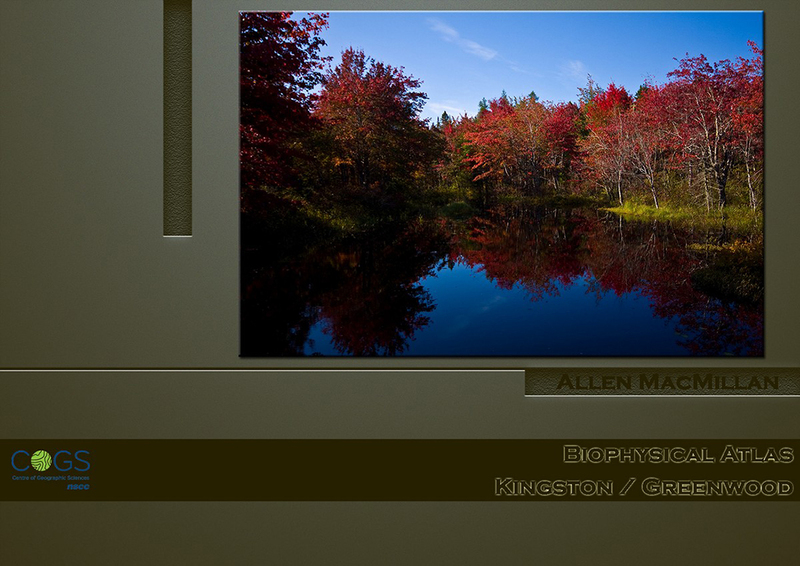 This project was to take a raw image and orthorectify it. We used the road and hydro layers to give us points of reference. Ortho done in PCI Geomatica with layout made in CorelDRAW. 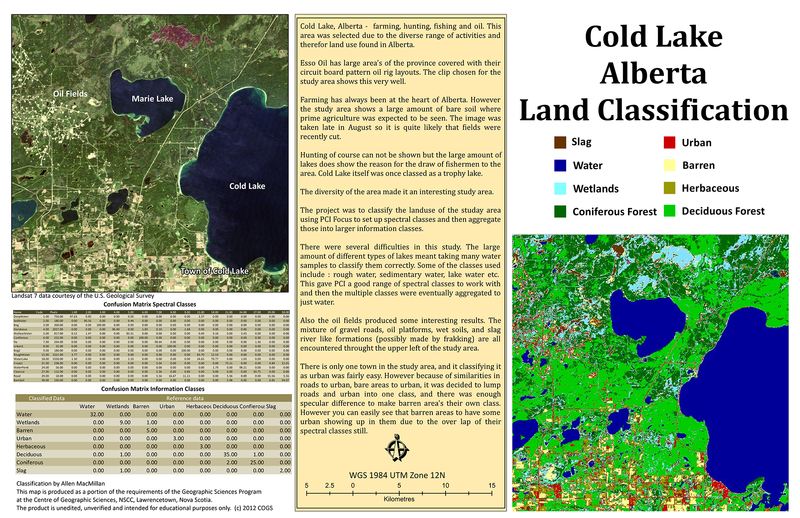 This is my final poster in the Terrain Visualization class. We did a few maps all leading up to this one. This one encompases the learning from the other maps. 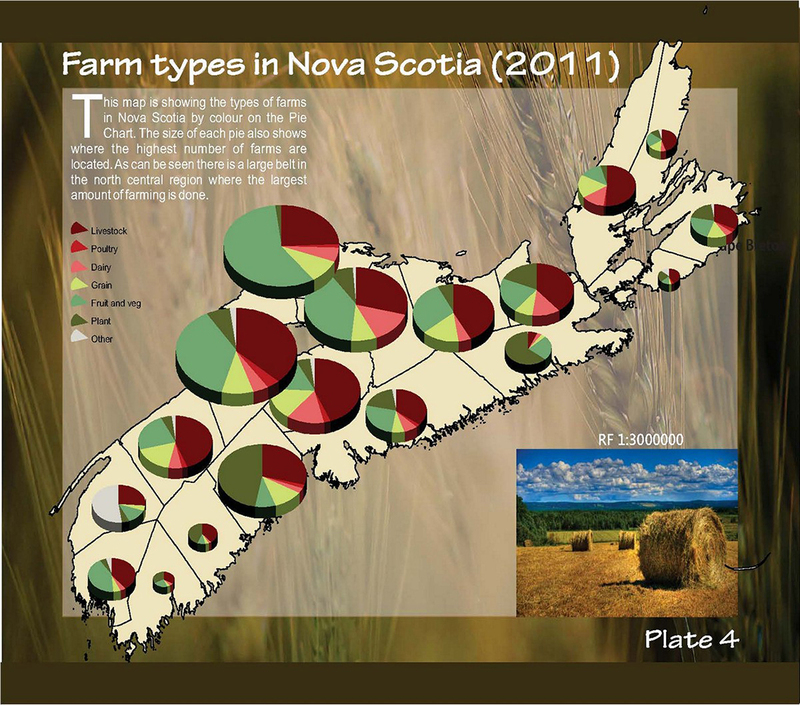 Unlike my previous maps in this class, this layout is in CorelDRAW. This is the cover page for our group project in Interactive Mapping. 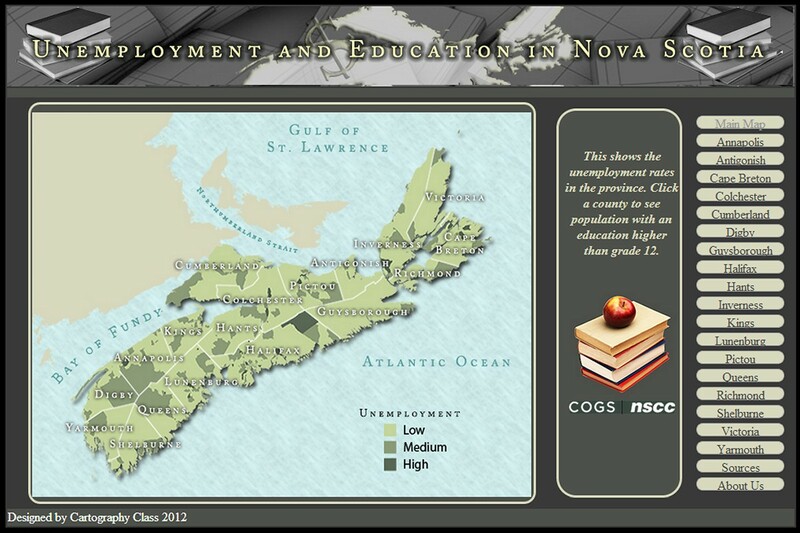 Unemployment rates are displayed on the main page, click on each county will allow you to zoom in on a county and look at education levels. 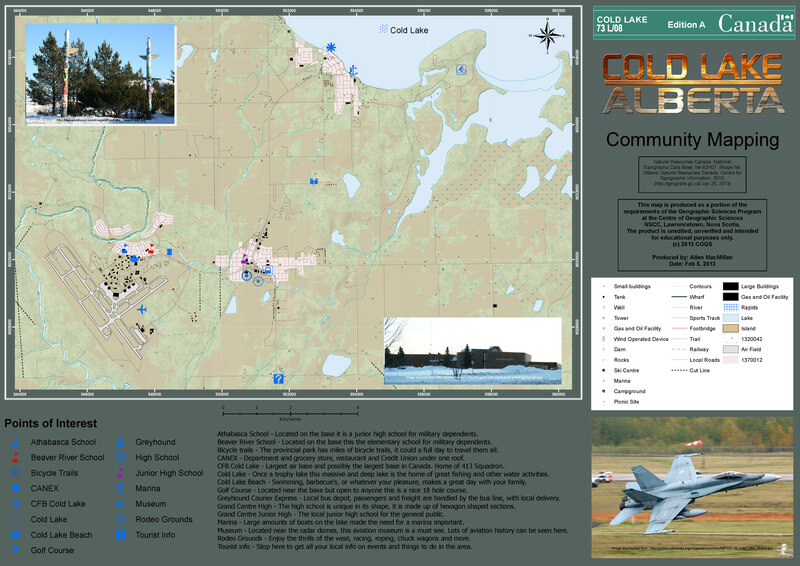 This map of Cold Lake, AB was created to show our local community group that we are working with, what a community map could look like. 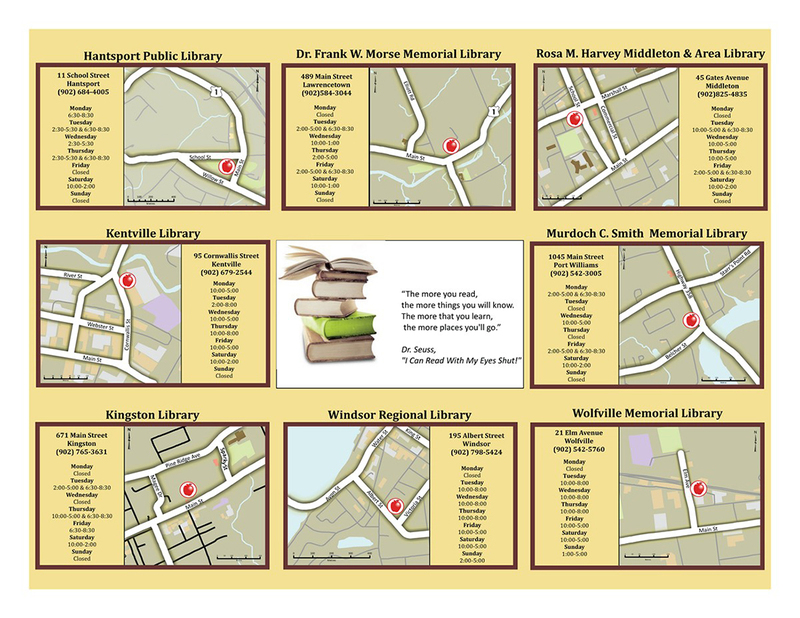 A handful of points were selected and plotted on the map with descriptions. Web mapping is done with many packages. 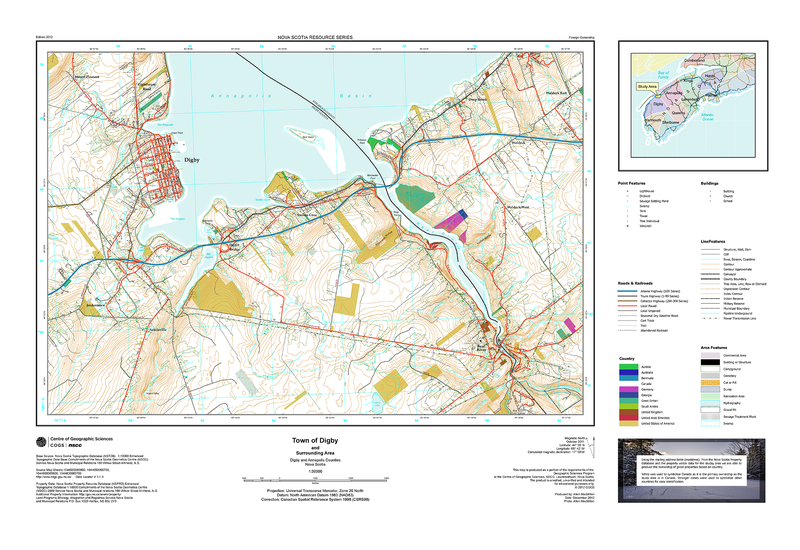 This particular map uses ESRI's ArcMap online. You can select a map base, most roads and other items already exist, you just need to add your own data for the thematic. I used Google Earth to locate the points I selected, and exported the KML file, converted KML to SHP file for ArcMap to recognize and imported and symbolized.